The Senate of the Obafemi Awolowo University, Ile-Ife, at its sitting today, Wednesday, 28th March, 2018, has endorsed the action, taken so far, by the University Management over the issue of students’ unauthorized occupation of the rooms in the halls of residence. 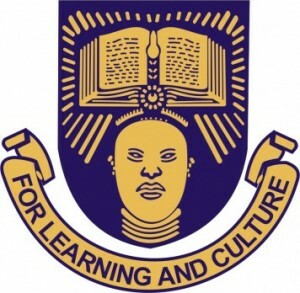 Read Also: OAU School Fees Schedule for 2017/2018 Academic Session. A release by the Public Relations Officer of the University, Mr. Abiodun Olarewaju, stated that the Professors, who frowned at the rate of moral decadence among the students, urged the Professor Eyitope Ogunbodede-led administration to use all lawful means to enforce obedience to the school rules and regulations, so that “our students will be found worthy in learning and character; therefore be qualified to obtain our degrees, certificates and diplomas. Accordingly, the Senate has given the University Management the mandate to ask students, who are still resident in the halls, to vacate their apartments/rooms, latest by Friday, 30th March, 2018. In a related development, the Senate has approved the change in the resumption date for the new calendar of 2017/2018 academic session. The new students will now come into residence on Sunday, 29th April, 2018, instead of 3rd April that was earlier announced. This is to give enough time for proper repair and comprehensive renovation of all the halls of residence in order to make it more comfortable for the students. Parents and Guardians are hereby enjoined to take note of the new date and prepare their children/wards for resumption accordingly.